Speak softly. Have strong beliefs. Carry a kind heart. Have courage. I personally chose this hotel for many reasons: one for the fact that it is undeniably gorgeously designed, and second for its history which dates back to 1901. If you know me, I am all for vintage vintage vintage ... and Sofitel Keeps that antique vibe very well in its rooms and hallways. One of their staff informed us that in the historical wing of the hotel, they kept the same exact furniture in the hallways which were absolutely wonderful to look at for an antique lover like me. Upon arrival, we were surprised by a room upgrade and beautiful bouquet of red roses to celebrate our honeymoon. The staff are so attentive to these small details of their guests and their comfort. This attentiveness also extended to breakfast time which was served for guests in I believe all their restaurants ... and you get to choose where to go. My husband and I started our day in Le Club which had serene views of the hotel’s gardens as we enjoyed the best breakfast I have ever had in a hotel. It may seem unreal how everything was great at Sofitel legend metropole, but this was our experience and I am so glad to have paid every penny to experience staying in this hotel. Oh, and did I mention that Charlie Chaplin used to stay at Sofitel legend metropole when in Hanoi? He even has a suite named after him if you’re interested to stay in it! Other more interesting history fact is how the hotel has once been used as a bomb shelter. As a guest in the hotel, you’ll get an exclusive tour of the hotel’s path of history and bomb shelter with the hotel’s own team of historians. Wonderful. I consider myself a very educated wellness traveler: when I travel, I love to focus on my wellness and health. So the food I eat is very important ... and also the spas I visit. The Sofitel legend metropole ‘Le Spa’ took me to experience a mixture of east and west with style. 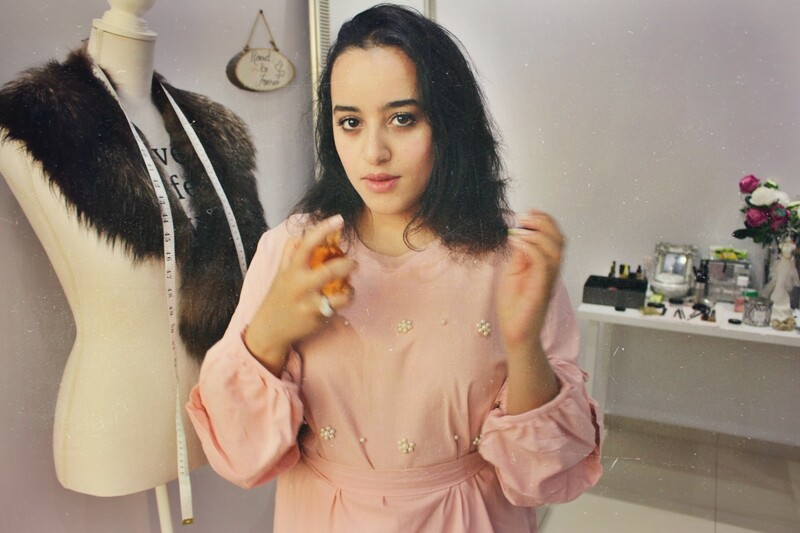 Everything about the experience was glamorous, from the moment I stepped to the changing rooms which were decorated in antique mirrors that you couldn’t help but take photos of. The privacy of each treatment room is spectacular as you get your own cabinet, safe box, vanity room, and bath/shower. The staff are very well trained and attend to your service very nicely, while respecting your privacy. The choice of oils used for your treatment are presented to you before your treatment begins. As for the food, we reserved a table to have our first dinner as husband and wife at Le Beaulieu - a French restaurant located in the ground floor of the hotel (on your left as you enter from the main entrance). The restaurant demands a smart casual dress code, and serves amazing meat. That’s all I have to say about it. It was very romantic, very calm, very delicious. Perhaps what I loved the most about Sofitel Legend Metropole is it’s history; and trust me you really feel it when you’re inside. It’s a mixture of glamour, and the sad past of sheltering away from the war. Ending your night in a jazzy atmosphere at the hotel’s Le Club was the icing of the cake. Being a jazz fan, and sitting beside my husband was beyond magic to me. It was wonderful. Ever since the glass skin trend hit istagram, pinterest and pretty much the streets ... our spendings on highlighters, good moisturizers and oils increased tremendously with all the hype about that 'glowing' and 'youthful' skin. I don't blame the obsession with the perfectly highlighted look, because honestly it looks great! I always prefered a well moisturized look over dry and matte finishes. As part of my bridal beauty routine which is preparing my skin for my wedding day - coming soon in just four months! - I added one product that I believe transformed my dry and tired skin into a more youthful, and naturally highlighted one. Grapeseed oil is basically the oil which is pressed from the seeds of grapes (makes so much sense, right?). It is quite popular in the world of skin care because of its high Vitam E content, which is reportedly twice as much as the content found in olive oil! Vitamin E is a great antioxidant for the skin. Grapeseed oil also reduces clogged pores and is said to help control oily skin as well. I began to notice that my skin feels softer, with a natural glow where you would normally apply your highlighter! I was introduced to it by my eldest sister who promised that it would do wonders on my skin, and it did. I use it all over my body now as part of my evening skincare routine post shower. I suggest you find a trusted supplier of grapeseed oil, unscented for better results - particularly for those with sensitive skin. I personally use my own grapeseed oil which we use for our beauty products at Wadair's - my own beauty brand. The oil is currently not available for sale alone from our brand. I felt the need to put light onto this amazing oil, because it certainly became a beauty essential for me. Pinks, and different shades of cool. Here are a few photographs from 80s interior design magazines, and films which inspired me on the selection of my own apartment's furniture and design. The Weekly Salad: a weekly roundup of thoughts, blessings, pitfalls and insanity. Enjoy this week's blabber on recognizing and dealing with social anxiety, and being influenced by the 'french chic'. Understand me: I am one of those who hate crowds, become nervous in social situations, and is afraid to walk alone in public because I am in constant fear that I would be stared at. It feels good to actually write that confession statement out loud for strangers to read. Perhaps I am more of a writer because it is so difficult for me to say things out loud, but that does not neccessarily mean that I do not have a voice. A wise person once said: people write because nobody listens. My struggle with social anxiety has always been there since childhood, although it did not seem that it even existed. As a child, I was always a part of the school band, often taking the stage to either play an instrument or say a few words that I have personally written down. I fought to get there, and back then I was not aware of the many social constraints that would later on be placed upon me. So I did what I had to do with joy, and lucky for me I had cute best friends who always offered their words of encouragement despite their incredibly young minds. 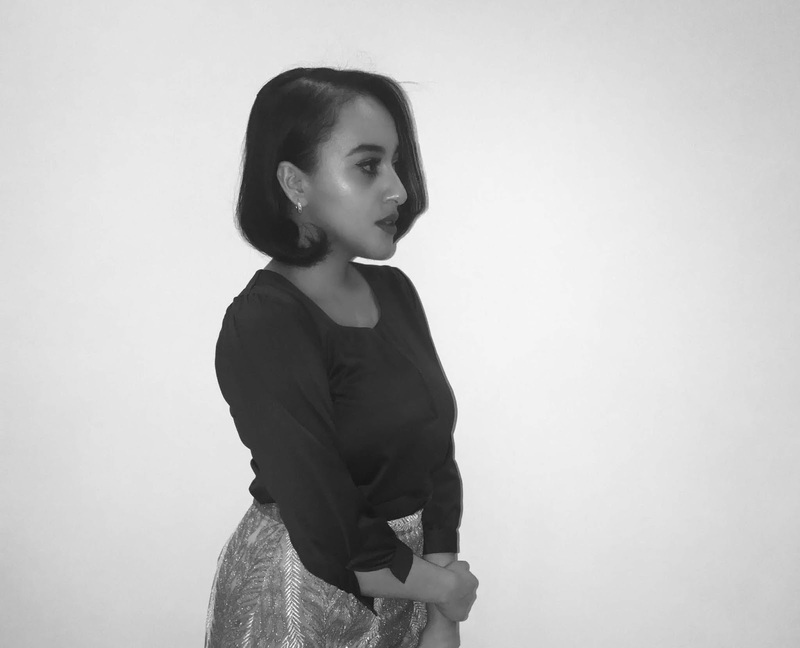 Years down the line and I found myself 'the quiet one' in high school, and being that person in high school is not the most glamorous thing life gives to you. I remember high school as a period of my life where I did my very best to avoid social situations that involved more than my close-knit group of friends. It was also the period where I began to learn that even the way I speak *accent* can determine my level of cool. However, I am proud to state that I used that time to focus entirely on becoming the woman I always wanted to be: I studied hard, I did my best, and I graduated. I had hope. That hope - and little bit of luck and fairly good grades - landed me a study schoalrship to the Netherlands - a country I never thought I would ever live in, and it was a marvelous experience. The excitement of moving abroad at the young age of only 17 over-ruled the fear I had, and for the first time in my life I felt like I can do and be whatever I wanted to be. In university days, it took quite some time for me to feel comfortable around people. I started by slowly making closely-tied friendships with amazing people who later on introduced me to enjoying social events and the company of many people. I started to see myself in a new scope, one that I haven't seen before. I began to feel okay about meeting strangers, and I started to believe that being around people is sometimes an act of me showing kindness to my heart. I felt content with my relationships with others. I felt content with myself. Many would argue that the feeling of being content with yourself, or at peace with yourself has nothing to do with how sociable or successful your relationships are with others, but from a personal point of view: I truly believe that the divine sends hugs to you in many different forms, one of which is other human beings. I decided to write this today because I am back to the point of fighting this anxiety. I would say I don't know how I got back to this point, but I would be lying. It was a touch of insecurity, loss of a relationship with a loved one, combined with the many failed attempts to build and re-build relationships that got me back to the starting line. It all started again after my university graduation, when I returned home and found myself unwillingly placed in a competition of who gets a better job first, and who will lead a better life. Although I tried to block those thoughts from my mind, it became more and more difficult when it was the only topic of discussion. I fell in love with being alone again. I avoided social gatherings just to avoid answering certain questions: so what will you do now? Did you find a job? Are you gonna get married? It was so hard to tell the truth: I don't know. Other factors that made me in absolute fear of social situations were insecurities about my body, weight, mental strength, and health concerns. So I prefered being alone, which wasn't the best decision; because now I feel socially anxious more than I have ever felt in my entire life. I dislike going out because I constantly feel like I am being stared at, I also never attend social gatherings, I avoid grocery shopping in markets which I know will have many people, and sadly .. I started skipping all family gatherings. Then perhaps you are dealing with social anxiety which can be treated. It is difficult when in most cases people do not consider this a real issue, and would often point fingers accusing the person suffering with this distress of being weak, a loser or even incapable of living life. Let's talk about the french chic. I have been influenced by Garance Dore's book on Love Style Life. One beauty lesson from the french chic woman on choosing colors for your nails when you really can't decide: go bold red in spring/summer, and deeper darker red for autumn/winter. Simple. It was a nice, summer day when I was first introduced to Shalimar by Guerlain. I talk about it as if I am talking about meeting a person, because it really did leave that sort of impression. It is a fragrance with a story, character and a long history of amazing women who appreciated its beauty. Shalimar won the loyalty of many; including myself, and the wonderful 40s film star Rita Hayworth. The fragrance was made in 1925 as a tribute to the love story between Emperor Shahjahan and his wife Mumtaz Mahal. Legends say that Shahjahan was mesmerized by his wife's beauty the moment he met her, and as a result of how heartbroken he was after her death .. he decided to build the famous Taj Mahal as a tribute to his never-ending love for his late wife. Mumtaz's favorite garden was the gardens of Shalimar. The inspiring movie-like love story that inspired this bottle of perfume is unknown to many, even though the success of Shalimar by Guerlain is undeniable since its launch in 1925. It is considered one of the best selling perfumes ever. It also happens to be the first oriental fragrance in history. 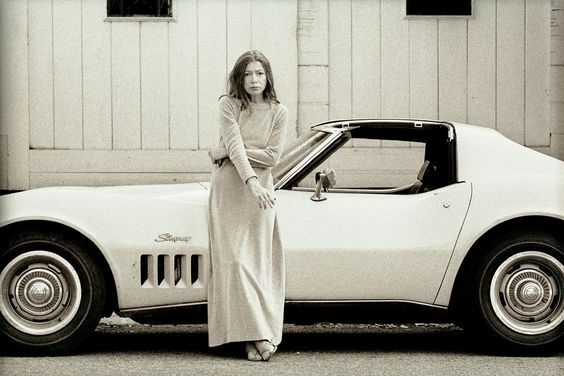 "To free us from from the expectations of others, to give us back to ourselves - there lies the great, singular power of self-respect"
I consider Joan Didion the most evolutionary journalist in the 60's fashion era. She transformed 60's Vogue by writing intimate literature on the pages of where you would conventionally find fashion & beauty advice, alongside photographs of pretty women. Didion placed advice on self-respect instead, and from there she started very early as an important figure in intimate literature even today. 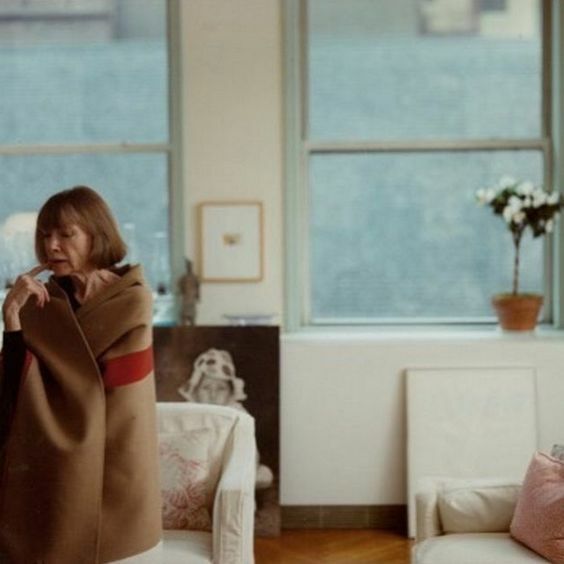 It wasn't until I came across Joan Didion's documentary under the title Joan Didion: The Center Will Not Hold that I began to idolize the author for her incredible work both on fashion journalism, and literature in general. Her most celebrated work from the pages of a 1961 Vogue was an essay she wrote on self-respect, which she titled: "Self-respect: it's source, it's power" captured my attention and I found myself jotting down life lessons as I read further on and on into the essay. "... people with self-respect have the courage of their mistakes. They know the price of things." Didion confidently states many aspects related to self-respect, where she considers different traits that exhibit self-respect in an individual's personality. Admitting one's mistakes, discipline and having a sense of self-worth are few points Joan Didion mentions in her essay, appointing them to be elements that show self-respect in a person. One way of respecting ourselves according to Didion - which I find rather appealing and difficult to master - is having a strong sense of self-worth for better or worse; meaning: considering ourselves worthy of respect even when we fucked up big time. This is something I still wish to learn and hope to give myself one day. The following extract is worth reading, taken from the 1961 Vogue featuring Joan Didion's 'Self-respect' article. "In brief, people with self-respect exhibit a certain toughness, a kind of moral nerve; they display what was once called character, a quality which, although approved in the abstract, sometimes loses ground to other, more instantly negotiable virtues. The measure of its slipping prestige is that one tends to think of it only in connection with homely children and with United States senators who have been defeated, preferably in the primary, for re-election. Nonetheless, character—the willingness to accept responsibility for one's own life—is the source from which self-respect springs."